[by Sora Ghim] New JTBC variety program ‘Where Is My Friend’s House’ (or ‘My Friend’s House’ for short) released official posters. Taken with three different concepts, the posters embody the way to going to a friend’s house. 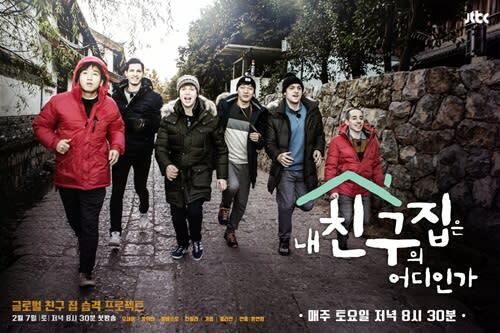 The 6 men head off to Zhang Yuan’s home and show their natural selves in the pictures. With the cleaver header, ‘Global friend’s house attack project,’ the cast eat ice cream, go for a morning jog, and sit on the front lawn of the house. Instead of their usual suits seen on ‘Nonsummit,’ the members are in casual clothing, giving a friendlier atmosphere. This show was created so the members can visit the home countries of the cast and experience the culture first-hand instead of debating about it. The first ‘friend’s house’ is Chinese representative, Zhang Yuan’s home in China. 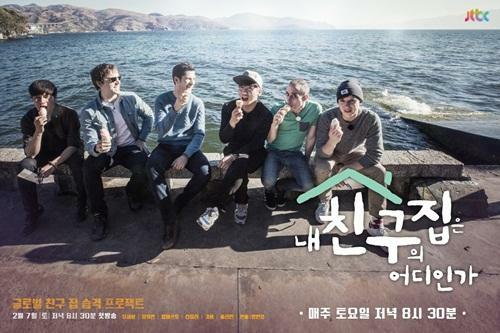 Alberto Mondi, Guillaume Patry, Julian Quintart, Tyler Rasch, and Yoo Se Yoon accompanied Zhang Yuan to his home.